Thanks to our proximity to the sun, we can see only three planetary bodies passing across the face of our home star. The moon does it most frequently, two to five times a year, causing solar eclipses. Mercury traverses the sun far less often—only 13 times per century. And then there is Venus, whose solar transits are rarest of all. Venus’s orbit is tilted 3.4 degrees with respect to ours, so from Earth’s point of view, it usually slides by either above or below the sun. In fact, no living person has ever seen a Venus crossing; the last one happened in 1882. But astronomers—and anyone else who’s curious—can observe this extraordinary spectacle on the morning of June 8. The event will not have nearly the scientific impact it has had in the past. Planetary transits used to be important because they helped to measure the size of the solar system. Astronomers have understood the relative spacing of the planets since 1619, when German mathematician Johannes Kepler published his third law of motion, which relates each body’s orbital speed to its distance from the sun. Using the law, scientists could determine, for instance, that Jupiter lies 5.2 times farther out than we do. But without knowing the mileage between Earth and the sun, they could not deduce the solar system’s absolute scale. In 1716 British astronomer Edmond Halley showed how Venus transits could crack the problem. Observers at various latitudes on Earth would each see Venus follow a slightly different path across the sun’s face, he noted. By comparing the angular differences in those paths to the geographic distances between the observers, astronomers could calculate Earth’s distance from Venus. Using Kepler’s third law, they could work out the precise span between Earth and the sun. Halley implored future astronomers to view the next transit of Venus—which would not take place until June 3, 1769—from as many locations as possible. Thus, Captain James Cook set sail to the island of Tahiti that year to watch Venus cross the sun. Together with observations from more northern latitudes, Cook’s 1769 data provided the first accurate distance to our star—and by extension, to the rest of the planets in the solar system. Later observations refined the Earth–sun distance to about 93 million miles. The 1769 event was so important that a monument and plaque commemorating Cook’s achievement were erected in Tahiti on what is now called Point Venus. Since then, precise measurements using beams of microwaves bounced off neighboring planets have rendered transit timings obsolete. So this month’s occurrence becomes a historical footnote, a sheer-enjoyment opportunity to watch the clockwork motion of the solar system and to see our nearest planetary neighbor speeding along in its orbit at the point where it comes closest to Earth. From the eastern half of North America the crossing will be visible for only a short time after sunrise. Unfortunately, viewers in the western half will miss the transit entirely since it will be over by the time the sun rises. For details tailored to your nearest city, go to sunearth.gsfc.nasa.gov/eclipse/transit/TV2004.html. As with any solar-related event, extreme caution must be taken to avoid eye damage. At the very least you will need a professional-grade solar filter or number 12 welder’s goggles. If you miss this event, there is a consolation prize: Because Venus circles the sun 13 times for every 8 times Earth does, Venusian transits come in pairs that occur eight years apart. 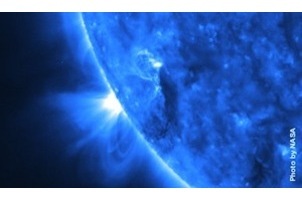 So on June 6, 2012, a second passing will grace the sky, and this time the entire United States will be able to see it. After that our sister planet will skirt the sun’s face for more than a century. The next pair of transits won’t materialize until 2117 and 2125—which should give your great-great-great-grandchildren plenty of time to prepare.